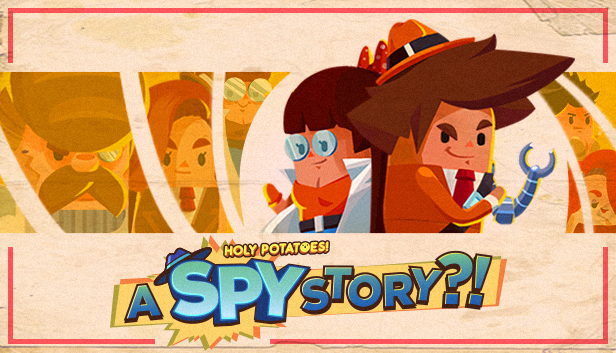 THIS SUMMER – From the producers that brought you potato arms dealers (HPAWS), space colonisation (HPWIS), and cannibalism (HPWTH), comes a thrilling sequel of espionage: Holy Potatoes! A Spy Story?! Meet twins Ren and Rexa in their headquarters, and follow as they untangle the mysteries of an evil spy corporation. We hope you’ve enjoyed this snippet we created to introduce A Spy Story?! If you’d like to see more, you can head over here for a longer interactive cut. As a heads’ up, we’ll be going into greater detail into the characters and their origin stories for our next post! Plugging aside, we’ll be back with updates every week or so. So here’s a quick rundown of what we’ve been up to in the past week! .–. .-.. . .- … . / .— — .. -. / — ..- .-. / -.. .. … -.-. — .-. -..
Our artists have been hard at work, making our assets sharper! Can you tell the difference between the two buildings? 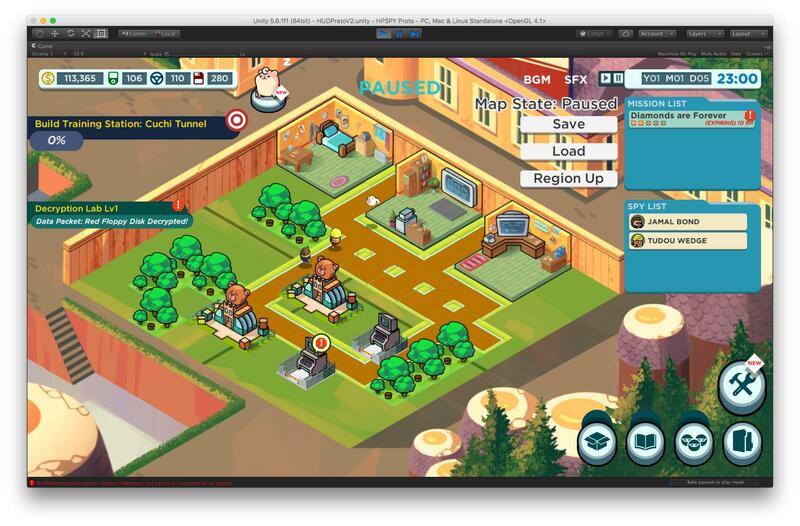 We’ve also undergone a resizing – scaling every potato-spy, building and tree to proportion. 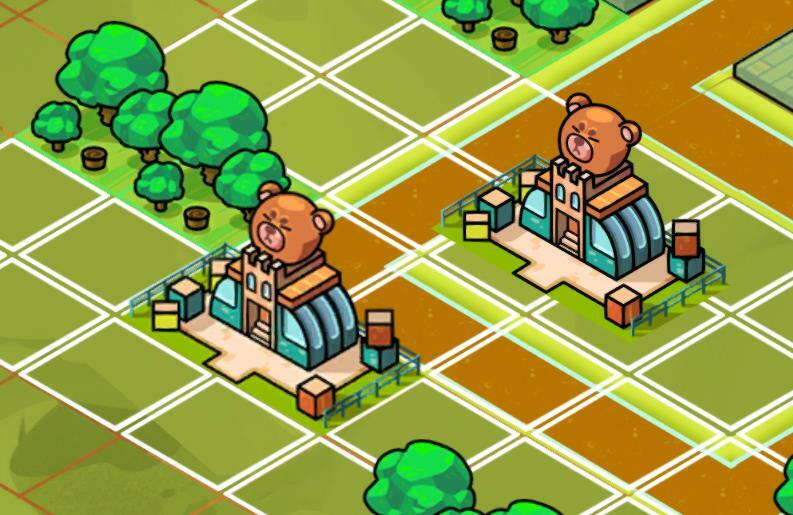 The downsizing also makes it easier to click on different buildings now! -.– — ..- .—-. .-. . / … – .. .-.. .-.. / .- – / .. – ..–.. / .– …. .- – / .- / -. . .-. -..
Something beginning with K. Hint: it’s hovering somewhere above the recruitment centre. Concerns regarding the potato sprites’ outlines were raised too: due to the use of 3D sprites previously, constant rendering in the game produced image noise. As such, we’re running with 2D sprites instead! Let’s hope they don’t go off the grid! -.-. — -. –. .-. .- – … / -.– — ..- / –. . – / -… .-. .- –. –. .. -. –. / .-. .. –. …. – … / ..-. — .-. / -.. . -.-. — -.. .. -. –. / – …. . … . Subscribe to receive updates on Holy Potatoes!